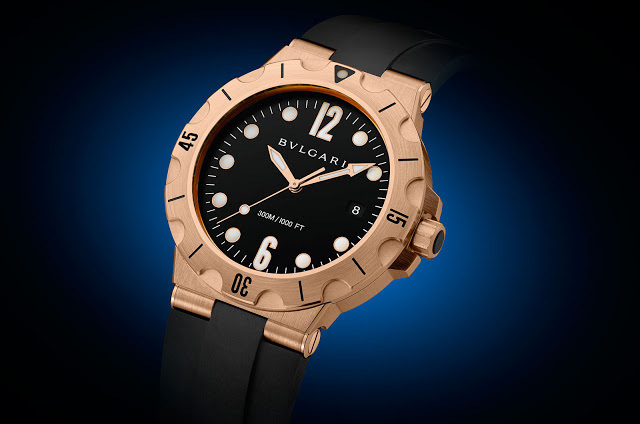 Bulgari has unveiled the new Diagono Scuba, an evolution of its 1990s classic with the same recognisable style but larger and equipped with the BVL191 Solotempo calibre. 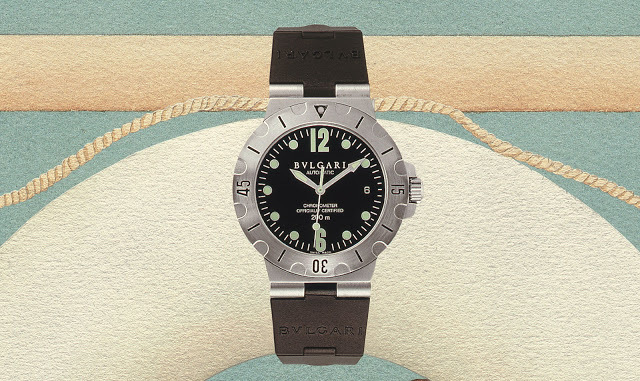 Introduced in 1994, the Bulgari Diagono Scuba was one of the first luxury dive watches with a laid-back charm that made it a hit, becoming one of the most fashionable of the decade. 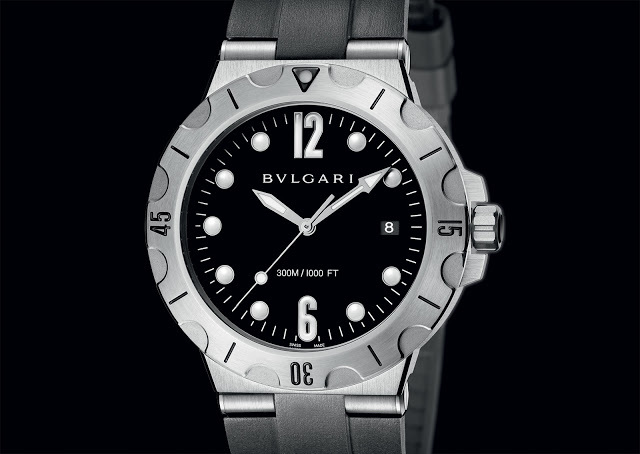 Now Bulgari has redesigned the Scuba, keeping its signature aesthetic while making significant improvements, including an in-house self-winding movement. With a 41mm case diameter, the Diagono Scuba has the same notched diver’s bezel found on the original, along with similarly styled dial and hands. The BVL191 Solotempo movement inside is an in-house calibre without COSC certification, hence the cleaner dial (the original was a certified chronometer and marked as such on the dial). And the new Scuba is also rated to 300m, compared to 200m on the first generation. Another key difference is the rubber strap, now comprised of single piece sections on both sides. The original had an articulated rubber strap with metal hinges, a unique feature that was a brand signature but costly to replace (the gold models had gold hinges). The new Scuba is available in four guises: steel with bracelet or strap, steel and rose gold, as well as rose gold on strap. It starts at US$6750 or S$8810 in steel with the rubber strap, while the top of the line rose gold model is priced at US$25,200 or S$32,900.